It was awesome! Fast forward several weeks and it was time to do the gender reveal. It went beautifully. 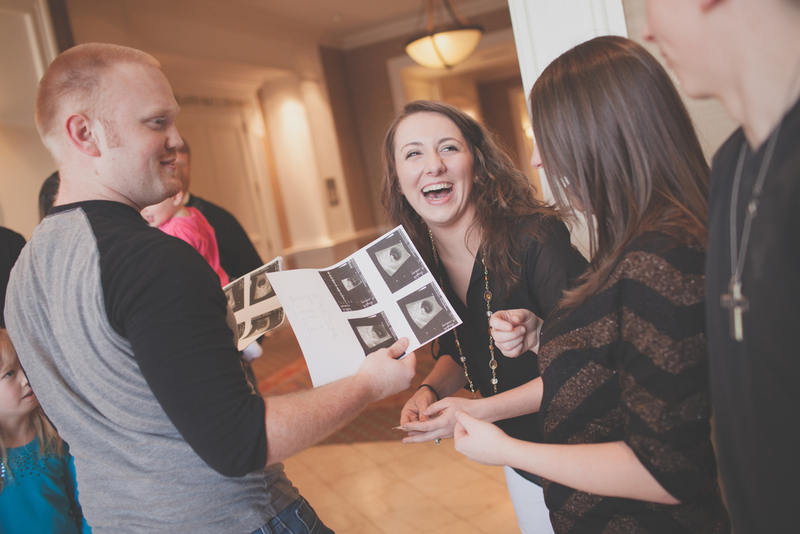 Their family was as thrilled as they were to find out they were expecting a BOY! Guess what time it is now... Maternity session time! She is simply gorgeous! We visited downtown Dublin in the evening and the lighting was perfect. Kelly is now 38+ weeks and they are so anxiously waiting the arrival of their sweet boy! I cannot wait to meet him Kelly & Jacob. I've been so honored to be such a big part of your beautiful journey. You two are the sweetest and I couldn't be happier for you. It was so nice meeting the two of you and I cannot wait to meet your little man in a few more weeks! Waiting for baby girl Toups! A special gift from one of Sheena's best friends. A "House divided" tutu! Just a little outtake...hahaha. This cracks me up!